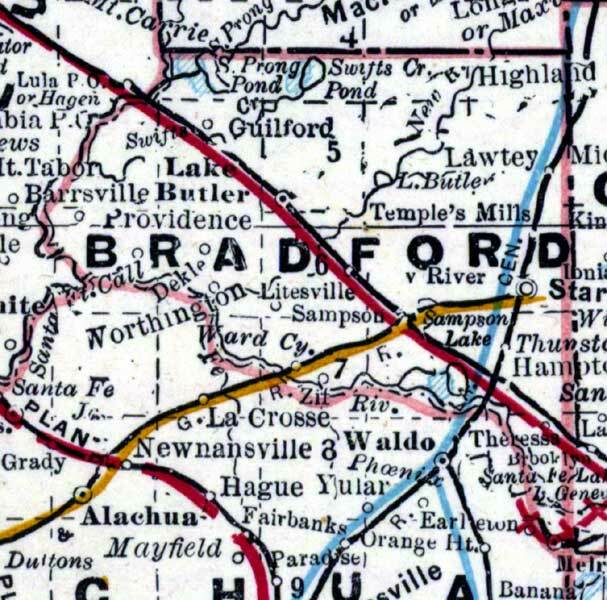 Description: This is a detail of a map of Florida showing counties, railroads, cities, inland waters, etc for Bradford County. Each color represents a different route. The origin and destination for each route is found on the main map in an Explanation key. Features of this detail include the Santa Fe River, Lake Butler, and New River.